Join the discussion on our forums! 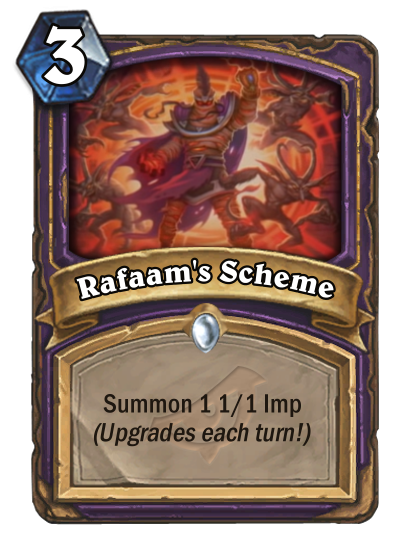 Come discuss Rafaam's Scheme over in our dedicated Rafaam's Scheme discussion topic. The maximum is seven imps but most of the time you will play it to summon just three, maybe four. "I have BIG plans [evil laughter]"